It's finally starting to feel like spring outside! I love that the weather, for the most part, is coat-less weather and the occasional rain is bearable - as long as it's not snow! There's flowers blossoming everywhere and the leaves are slowly reappearing on the tree branches. Hopefully my eye allergies will hold off for a bit (or altogether). i really like this outfit! 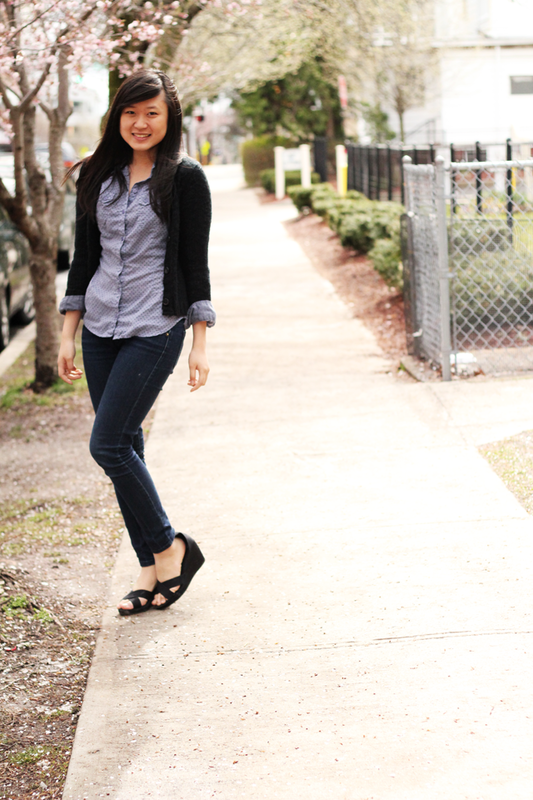 The shirt and the wedges are great. I've been trying to figure this out forever - how do you make your tabs under the header to take you to a specific link?? amazing photos! 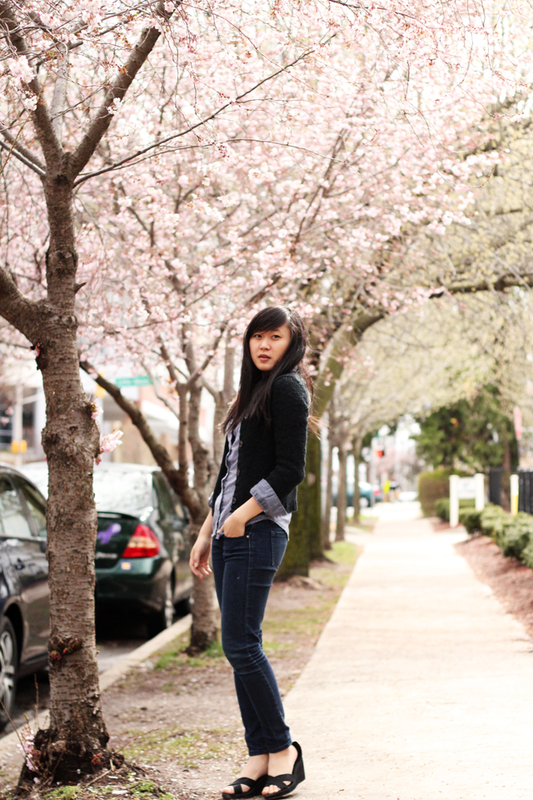 i like the contrasting colors between your outfit and the cherry blossoms. Yay new layout! I think the ads on the sides are a bit too big? Maybe shrink them down just a bit :) And! 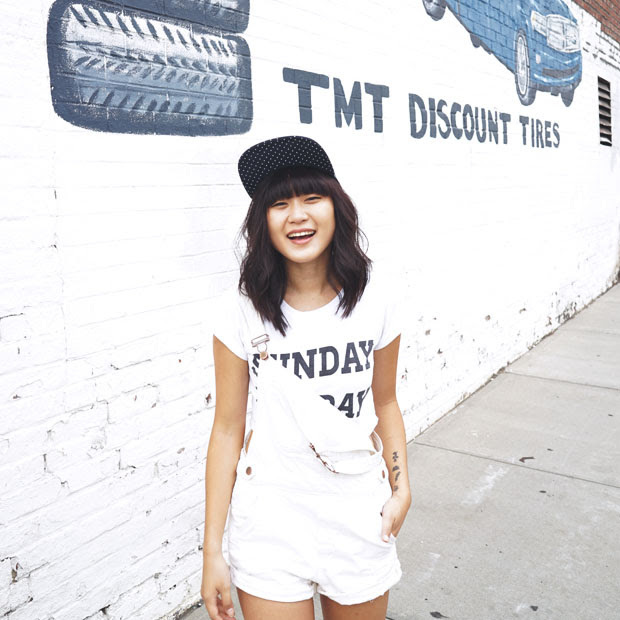 You need to add a bio underneath your darling photo on your sidebar! 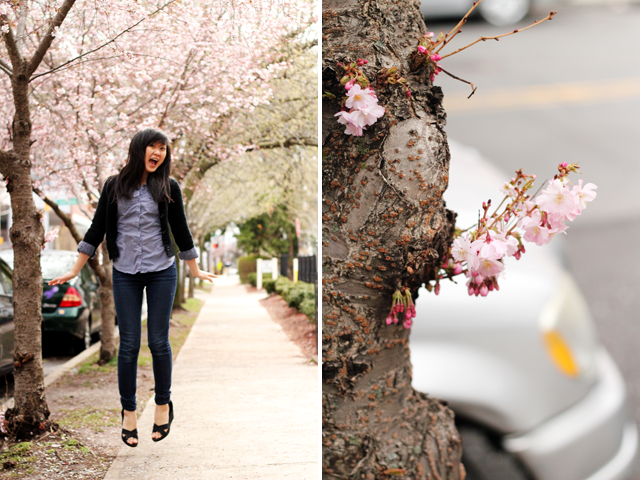 Onto this outfit: LOVE the cherry blossoms! You're so lucky you have those on the East Coast. They're no where to be found here. I'm in love with your leaf ring! Eep! Fall semester is when I come back to NJ! So I guess I should come on a Thursday morning? And we can have many many days in the city together hehe! waw new layout for Spring! I'm kinda having a strange feeling about your new blog appearance, but it looks nice, but agree with Jasmine, this ads on the sides are a bit too big..
well, have a great day, Jen! The cherry blossoms are so beautiful -- just like you and your outfit! 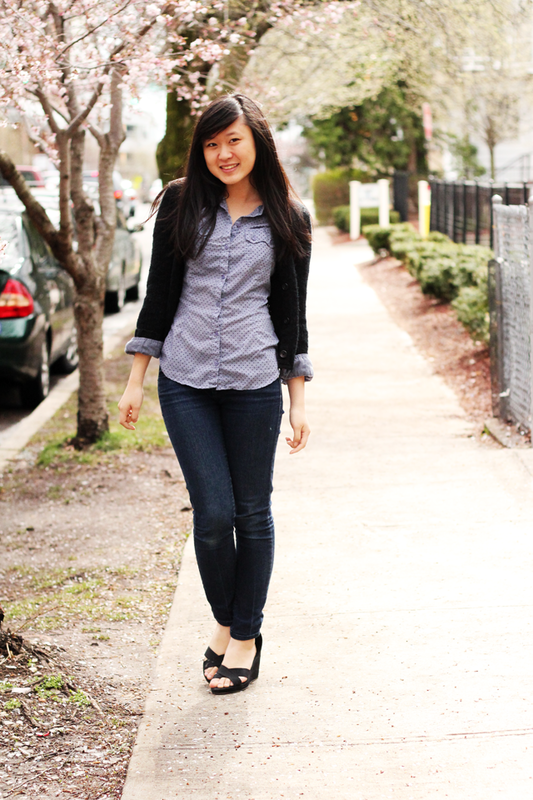 :) I really like the polka dots on the shirt. :D Oh and I love the new layout! I thought the old layout was fine! but the new one is awesome as well. Cute layout! I can't see the whole thing on my laptop, but it looks simple and nice. you're adorable. those shoes are super cute & they look super comfy which is always a major plus. i was wondering about the musical accessories, do you have an email i could use to contact you? Love the new blog layout. I too recently added the top menu navigation & love it. I love this look! Simple but so chic... Indeed, changing the blog's layout can be such a pain in the neck sometimes. LOL!